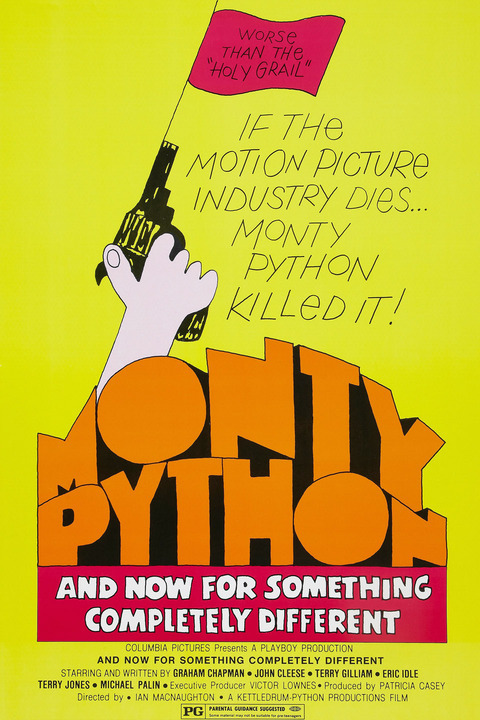 And Now for Something Completely Different is a 1971 British comedy anthology film based on the television comedy series Monty Python's Flying Circus featuring sketches from the first two series. The title was used as a catchphrase in the television show. The film, released in 1971, consists of 90 minutes of sketches seen in the first two series of the television show. The sketches were remade on film without an audience, and were intended for an American audience which had not yet seen the series. The announcer (John Cleese) appears briefly between some sketches to deliver the line "and now for something completely different", in situations such as being roasted on a spit and lying on top of the desk in a small, pink bikini.